This week, we helped out a class in Ohio who wanted to know what what people in other countries ate for lunch. We took pictures of our lunches and tweeted them to Ms Frazier’s class, who then put the pictures into their Voicethread. We also used Twitter to pretend we were one of the characters in Little Red Riding Hood, and to tweet using that character’s “voice”. What would the wolf, or the huntsman, or the grandma say? Can you tell which character we were in the tweets below? Ms. DeGroot’s class in Spirit Lake, Iowa is our first snow clothes challenger! Yesterday we had fun playing with measurement while we connected with Ms Lirenman’s class in Surrey, who are learning the same things we are. The emphasis in both of our curriculums is on comparing items using words such as longer, shorter, heavier etc. 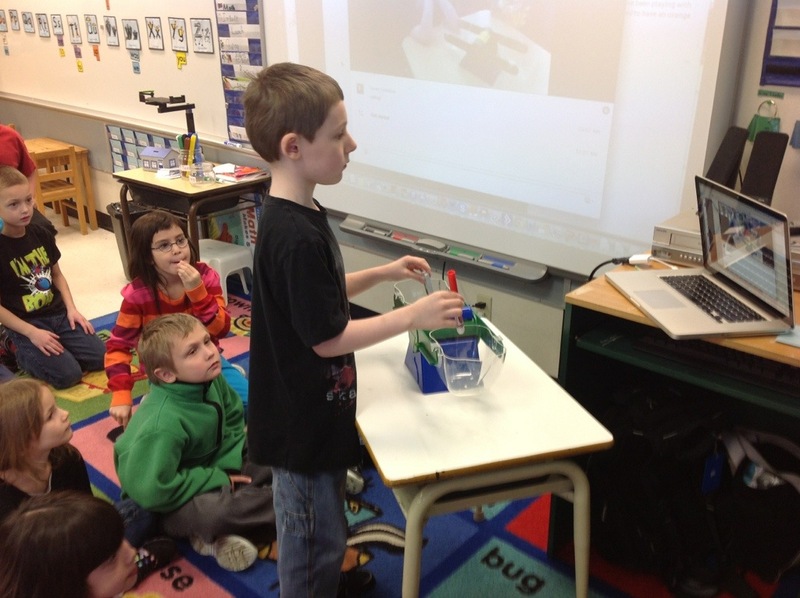 First, someone in our class and someone in Ms Lirenman’s class each picked an item which we showed to the other class via Skype. Then, we randomly picked a card to see whether the winning item would be longer or shorter. The students decided which class had the longest or shortest item. (Sometimes each class had to measure with a ruler to know for sure.) We kept score and fortunately, our classes were tied at the end of this game! 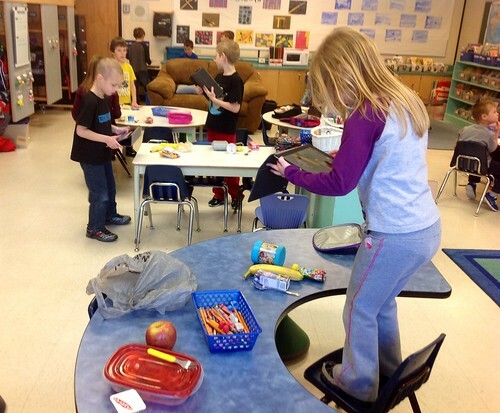 Then, each class moved a balance scale in front of the camera, and the children took turns showing two items. Everyone in both classes predicted which item would be heavier by putting both hands on their head for one item or in their lap for the other. Those who were unsure could put one hand in each place. Some of the items were surprising! 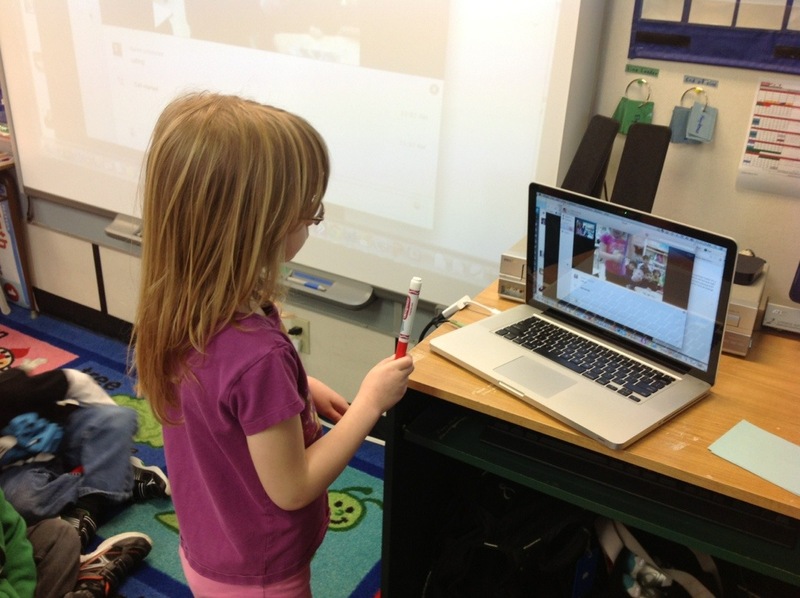 This week we had our first Skype call of the year with a class of first graders in New York state. Since this was our first call, we only introduced ourselves,shared our favourite colours and had time for a few “wonders”. The students were surprised to find out it was already after lunch where they live! 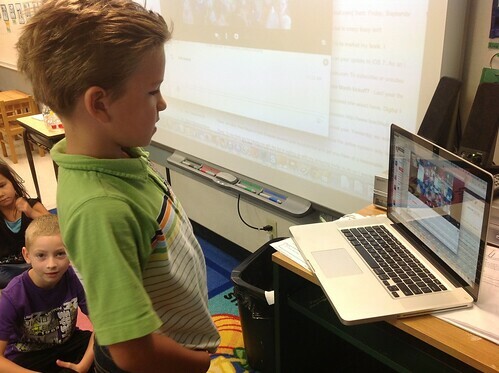 This video explains some of the ways we use Skype in our classroom.